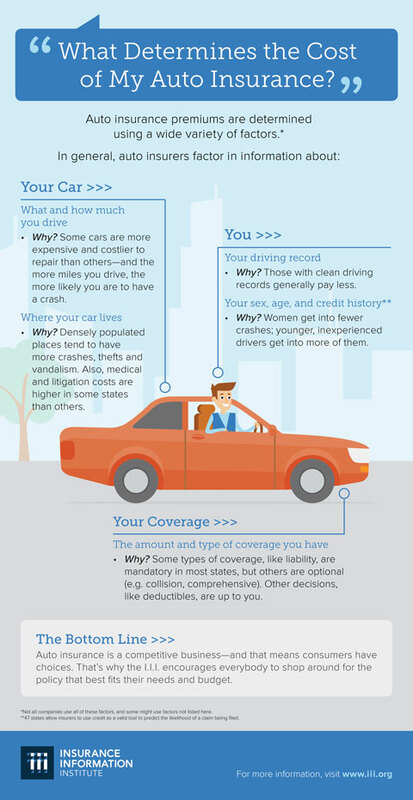 What determines the cost of my auto insurance? Auto insurance premiums are calculated using a many factors and some insurers give more weight to some factors than others. The cost of an auto insurance policy is generally determined by the amount of coverage, types of coverage chosen and other factors.